The National Beta Club has become the nation's largest independent, non-profit, educational youth organization. The CMS National Junior Beta Club is committed to recognizing and promoting high academic achievement, rewarding and nurturing worthy character, fostering leadership skills and encouraging service to others. Mission: To connect, educate, and support girls of various backgrounds and inspire them to develop leadership skills to help them be successful in their communities through mentorship, networking, and volunteerism. 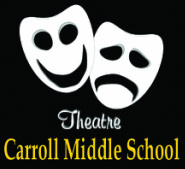 The CMMS Theatre Club provides students with an opportunity to develop creativity, learn how to work in a group, develop leadership skills, improve memorization skills, experience literature in a format different from books and to perform in theatrical productions. MEETING DAY: 9/23/14, 10/7/14, 10/21/14, 11/4/14, 11/18/14, 12/2/14. 12/16/14. Spring Dates will be announced later. The student council helps share students’ ideas, interests, and concerns with teachers and school principals. They often also help raise funds for school-wide activities, including social events, community projects, helping people in need and school reform. Students in this club will be members of the yearbook production staff. 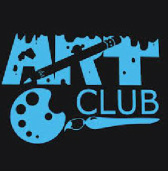 The club is designed to expose the student to the skills of photography, journalism and page production, and to assist him/her in acquiring the responsible attitude necessary to meet the demands of a production schedule and a publication deadline. Students will work in teams to complete the yearbook ON TIME! The mission of CMMS Math Counts is to inspire excellence, confidence, and curiosity through fun and challenging math problems. Please click here for activity bus information.